Let me start off here that I am most definitely NOT an expert on solar power generation and 12v electrical systems. Two cups of coffee, a few hours of my time and about a dozen open browser tabs later I am still as ignorant as ever when it comes to the technical facts and specificity of solar systems for camper vans. But, what I do have it real life, on the ground experience with generating electricity from the sun. And that should count as something, right? First of all, our current system: We’re rocking a 100Ah auxiliary AGM ‘house’ battery inside a battery box that is connected to a pair of 60W (120W total combined) monocrystalline portable solar panels, and also to the primary ‘cranking’ battery and the vehicle’s alternator via a Voltage Sensitive Relay (VSR). The VSR, according to the tin, is a special type in the sense that it is a ‘dual-volt-sensing’ unit. Essentially this allows flow of power both ways, to both batteries; from the alternator when driving, or the solar panels when the engine is off and parked in the sun. If this all sounds Greek to you (no offence to my Greek buddies), then I’d suggest you have a look at our other article about our 12v electrical system which has a diagram, photos and more information. This article also covers some of the basics and is worth a read. Don’t worry too much. As I mentioned earlier, even after many hours of research and discussion, I am still barely able to wrap my head around the essentials – let alone dive into the complex details. According to our initial calculations, an 80Ah battery paired with a 100W solar panel would have been more than sufficient for our needs; that being our 12v fridge running constantly, plus charging our smartphones on a daily basis, and other devices, such as our tablet PCs, every few days. All up our daily estimated consumption should be around 35-40A per day. The rule is to not drain the battery below 50% to avoid damage to it. Just to be sure, we went with the 100Ah battery and 120W of solar panel option. Under ideal conditions the 120W panels should be producing around 5.4A per hour. However, the problem with solar power is that ‘ideal conditions’ are just that – ideal and rarely reflective of real life usage. The problem is that there are so many variables that will affect the solar panel’s output and efficiency, including: the quality and thickness of the wires and the connections, the type, quality and settings of the soar regulator/controller, the quality of the solar panels, weather and exposure to sunlight, and so on. There’s plenty of ways to deal with these shortcomings of solar power. The general approach is to buy and use the best quality panels and controllers in your budget, use thick and high quality cables and ensure you crimp AND solder all connections, and always factor in lower real life efficiency to your calculations when deciding how many panels to install. My advice, and this doesn’t apply to everyone, is that getting an inexpensive, but decent quality solar controller, and adding extra solar panels to your setup is the best way to increase the amount of power you will generate and have to use. Spending a little more at the start will probably save you the cost and hassle of having to overhaul your system in the future. I also strongly recommend using durable, outdoor grade and reasonably thick cables. 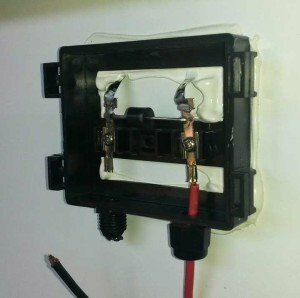 It doesn’t cost much more or add complexity, but it will ensure you avoid volt drop and other common issues. It’s really important to ensure all the connections are soldered and strong. We had issues with our unit not generating much power after about 6 months of use, and after pulling the regulators apart we found that the connections at the screw-in terminals had broken and come loose. After soldering the new terminal connections everything went back to normal. For the average campervan with two occupants, LED lighting and a 12v fridge, I’d recommend a minimum of 120W panel with a 100Ah battery. 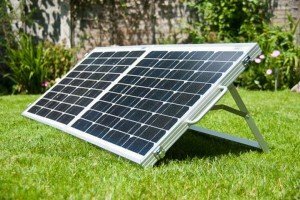 If you are powering extra appliances, like notebook computers or other devices through an inverter, then it would be worth upgrading to 300W+ panel system (3x 100W or 4x 80W) and 200Ah+ battery bank. 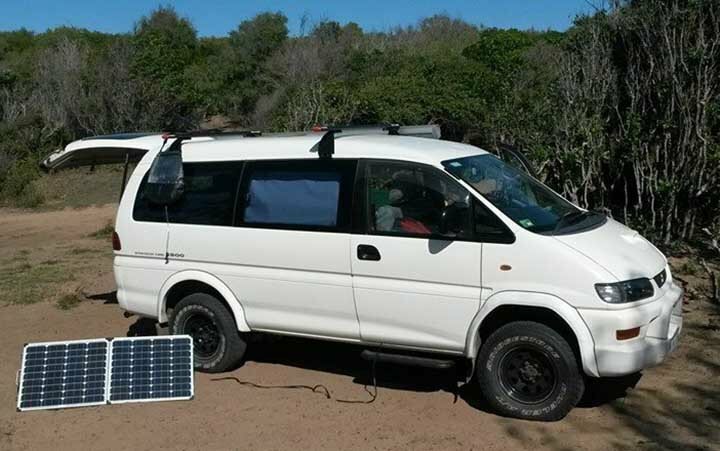 Portable solar panels are fantastic if you have the storage space for them, as they allow you to park the vehicle in the shade and still generate power (assuming it’s sunny). They do come at a slight price and weight penalty though, compared to standard solar panels, due to the added features and design required to fold out. Rigid panels are perfect for always-on, hassle free, permanent mounting to the roof. 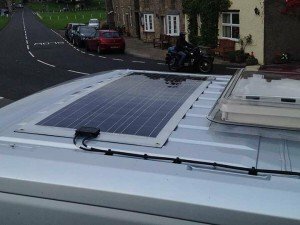 Most campervans have enough roof space for two or three 80W panels either directly mounted to the roof using brackets or to a roof rack (as we have done). 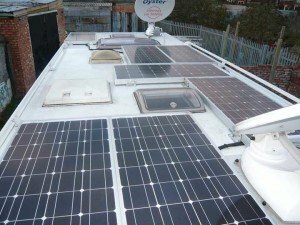 There are also flexible solar panel options which are a great solution for ‘stealth’ mounting of solar panels directly to the roof or for portable, fold-out applications over the windscreen. Of course, this newer and more convenient technology does come at a premium compared to conventional rigid solar panels. Ultimately, it’s a decision that you’ll have to make for yourself based on your needs, type and size of vehicle, and budget. Any comments or questions? Leave a comment below, on our Facebook page, or send me an email. Great article. I’m in the process of working out what solar system I’ll need for my RV so this helped a lot to answer some questions. A lot to learn!